Today is the start of Computer Science Education Week (CSEdWeek), a week-long celebration designed to spark students' interest in computer science. Sponsored by Code.org®, CSEdWeek is held annually to coincide with the birthday of computing legend, Admiral Grace Murray Hopper. Created in 2009, CSEdWeek has grown to include the highly popular Hour of Code initiative. Begun in 2013, it reached "over 15 million students and over 35,000 events across 167 countries." By 2015, Hour of Code had clocked 100 million hours, making it "the largest education campaign in history." Jones & Bartlett Learning is committed to providing the highest quality computer science resources for students. Nowhere is this more evident than in the bestselling Computer Science Illuminated, Seventh Edition. Designed for introductory computing and computer science courses, it provides students with a solid foundation for further study and offers non-majors a complete introduction to computing. 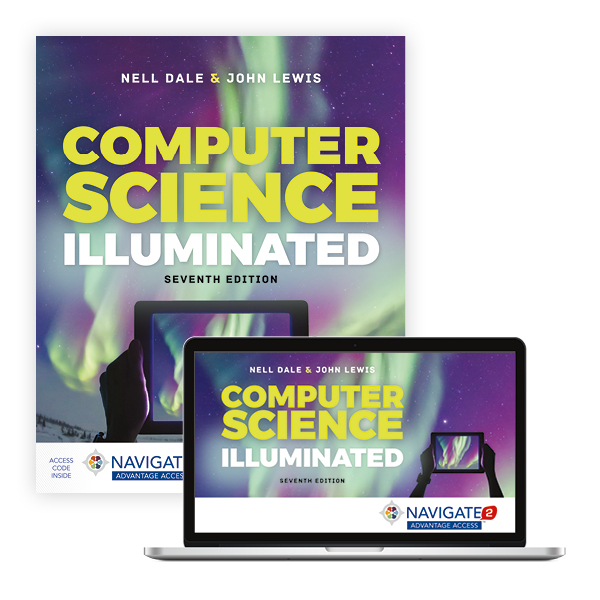 Authored by the award-winning team of Nell Dale and John Lewis, the text provides a unique and innovative layered approach, moving through the levels of computing from an organized, language-neutral perspective. Fully revised and updated, the Seventh Edition retains the accessibility and in-depth coverage of previous editions, while incorporating all-new material on cutting-edge issues in computer science. Learn more about the new edition at our website.